Twenty-four-year-old Naomi King, who has been burned twice by love, has all but given up on marriage and children. 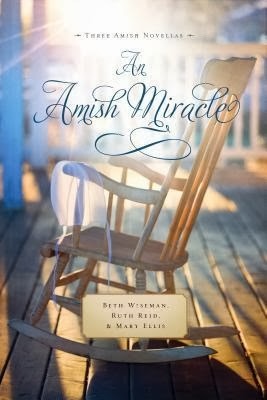 As Christmas approaches a time of family, faith, and hope for many others Naomi is more certain than ever her life will be spent as an old maid, helping with the family's quilting business and taking care of her eight siblings. Then she meets Caleb, a young widower with a 7-year-old daughter, and her world is once again turned upside-down. Abigail Kemp has managed to frighten off every bu who's ever driven her home from a singing. Sure she will live to be an old maid, Abigail starts saving her money to buy a horse so she can at least have some independence. Despite Abigail's constant chatter, she and Micah become friends until Micah makes a decision that leaves Abigail feeling betrayed. 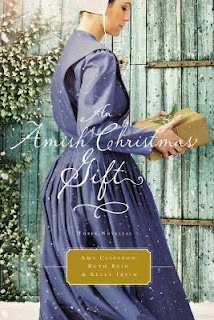 With Christmas in their midst, can Micah find a way to reconcile with Abigail and to reveal what's on his heart? 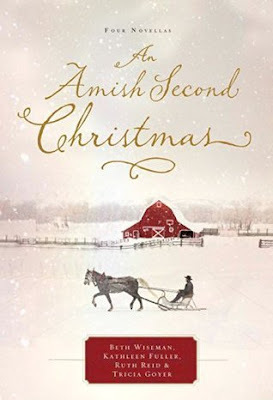 I'm a fan of these Amish novella collections, especially during a busy time of year like Christmas. It's so nice to sit down and be able to read a story or two at a time. Each of these is set during the holidays and the main character is feeling isolated from her family and community, but receives the gift of love. Naomi is deemed undesirable by Caleb's busybody sister, and it was a bit frustrating to see him pursue the wrong girl once he decided that marriage was his goal. It was surprising that barely courting someone would lead to assumptions of a betrothal, before they even had a chance to get to know each other well. I enjoyed Naomi's sincerity and the antics of Caleb's young daughter. Abigail's gift of gab prevents Micah from giving her a chance, but his grandmother takes a liking to her and he's desperate for help. I liked that as he was able to witness her redeeming qualities her quirks became endearing instead of annoying. He's kind of overbearing when they disagree, but she is anything but a doormat and sparks are always flying. I loved the story of Rocky and Frannie and the progression of their relationship with each other. 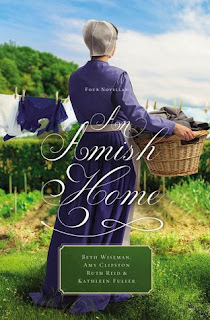 The themes of sacrifice, obedience, and spirituality were woven together as Rocky explores the Amish lifestyle with the potential of joining their faith. They had the sweetest romantic moments of the collection since they already had feelings for each other which only deepen as they are tested.